Pictured St Augustine, Florida man, Britt Meyer and his alleged road rage victims, couple, Katelin Daughert and Jamie Sanders. Britt Meyer a Florida restaurant manager is arrested after pulling out an AR-15 assault rifle on a husband in a road rage incident after the couple with their kids pulled into a parking lot. 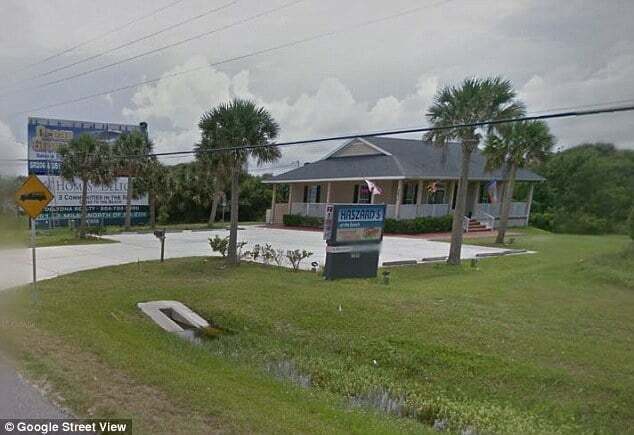 A Florida restaurant manager has been arrested after allegedly pointing two guns, including an AR-15 at a young father during an apparent act of road rage. 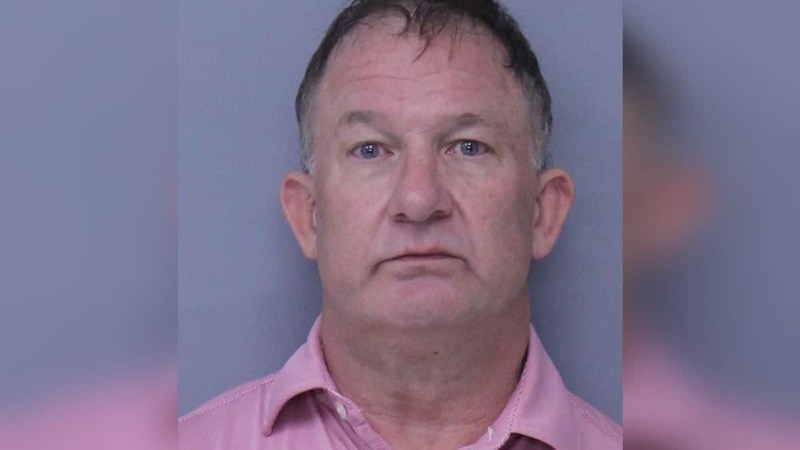 Following his arrest, Britt Meyer, 56 of St Augustine, was charged with aggravated assault with a deadly weapon without intent to kill in connection with Friday’s incident with a 25-year-old man in the parking lot at Haszard’s Open Pit Beef in Butler Beach, which Meyer manages, WJXT reports. 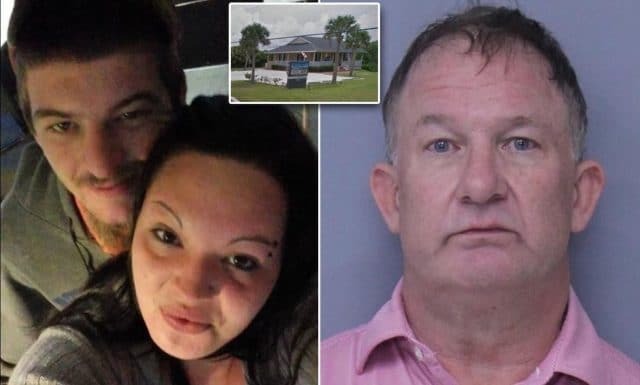 According to Katelin Daugherty, her and husband, Jamie Sanders, were driving with their three children — ages 9, 7 and 4 months, when they pulled into the restaurant’s parking lot to make a U-turn after missing their highway exit while making their way to the beach. For reasons not immediately understood, the family puling into the parking lot allegedly prompting Meyer to erupt. Pictured, Florida man, Britt Meyer. Daugherty said she and her husband tried to explain that they weren’t from the area, only for matters to escalate when Meyer became agitated upon Katelin’s husband, Jamie Daugherty opening his door because he couldn’t properly hear what was being said. Daugherty then pulled into a neighboring parking lot as her husband called police. Matters only continued to escalate when Meyer then observed Katelin’s husband standing in the restaurant’s parking lot while talking to police. While all the above is taking place, Katelin Daugherty told of the couple’s three children watching on in terror from the back seat of their vehicle. 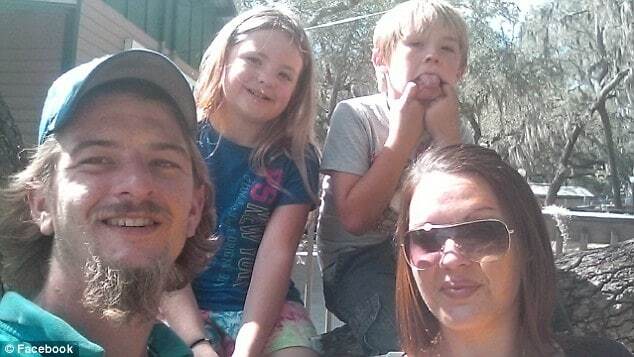 Pictured married Florida couple, Katelin Daugherty and Jamie Sanders with two of their three children. Deputies arrived shortly thereafter and arrested Meyer, who was later released from the St. Johns County jail on $5,000 bond. Deputies said they found the rifle, with 30 rounds in its magazine, inside the restaurant. 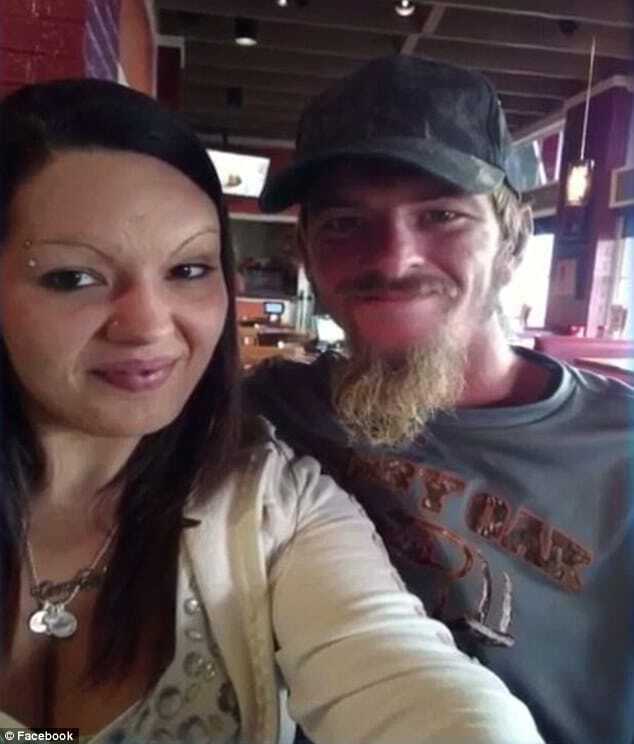 Daugherty’s husband, meanwhile, said he was convinced Meyer was going to open fire as he pointed his rifle, which featured a ‘red dot-type’ scope. ‘He had full intentions of shooting and killing me,’ he told WJAX. Added Katelin, ‘If the police didn’t pull up in seconds, my husband would be dead right now’. The arrest report noted the rifle being loaded with the selector switch in the fire position, while there was no round in the chamber. Meyer told deputies that he had put the gun there four weeks prior, because of problems with bikers at the restaurant. Of note, Meyer denied ever pointing a weapon at Sanders. The incident follows widespread calls from activists and some lawmakers seeking to ban the AR-15 assault-style rifle, which was the weapon used to kill 17 people at Marjory Stoneman Douglas High School in Parkland, Florida on Feb. 14. The weapon has been a recurring favorite choice of weapon amongst mass shooters. Pictured the Haszard’s Open Pit Beef, Butler Beach venue which Britt Meyer manages.